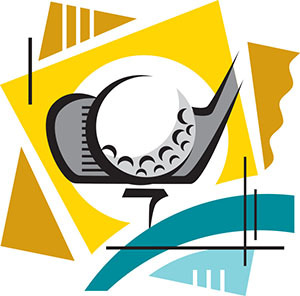 GSA is a service of the U.S. General Services Administration (GSA). As the federal government’s purchasing agent, GSA connects federal purchasers with the most cost-effective and high-quality commercial products and services. 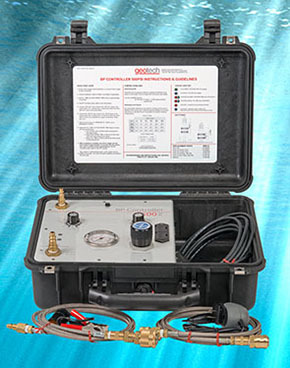 The Geotech Bladder Pump (BP) Controller 500 PSI utilizes advanced electronic logic to control gentle, low-flow sampling. 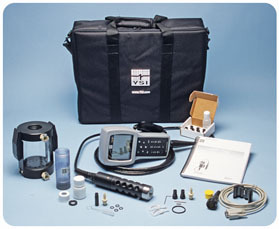 Simple to use, accurate microprocessor-controlled FILL/DISCHARGE timers are utilized to create expert techniques for low-flow sampling. The BP Controller 500 PSI is equipped with a high-pressure valve and fine resolution regulator that can deliver in remote and deep sampling applications. 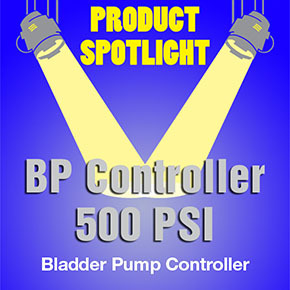 The Geotech BP Controller 500 PSI connects to any bladder pump system with the use of simple, quick-connect adapters. Use with Geotech Bladder Pumps for effective and reliable volatile organic compounds (VOC) and low-flow groundwater sampling. and let us know your interests. Doug Peters, a geologist with the US Environmental Protection Agency, is collecting groundwater samples at a superfund site in North Carolina. 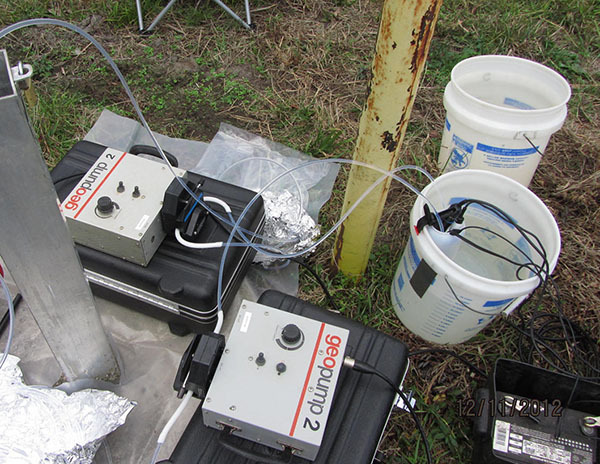 Separate water samples are pumped from the well using two Geotech geopump™ 2 peristaltic pumps. Take as many pictures as you like! A $100 gift card will be awarded each month! and on the web site. has an unusual twist or story: equipment being used overseas, of an interesting project, or for humanitarian purposes… wildlife or Mother Nature butting/intruding… the perfect shot at sunset, etc. Digital photos only, in jpg or tiff formats, 2 MB or larger if possible. Entering the competition is easy, go here to review the rules and guidelines and download the entry form. 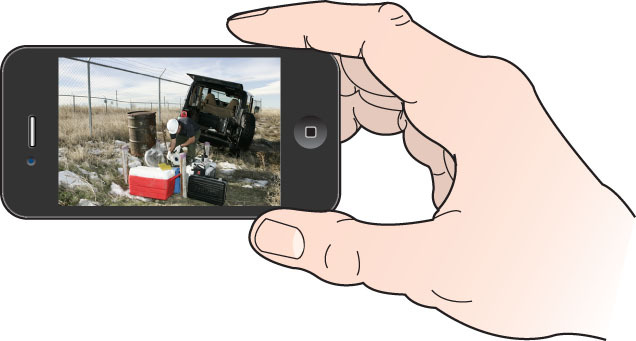 Every entry must be accompanied by a completed Geotech Photo Competition Entry Form. and receive a 10% off list price discount on the equivalent NEW Geotech product. 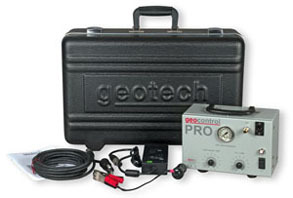 Call Geotech to find out what your equipment is worth and arrange your trade-in! Multi-probe water quality field meter. Calibrated and tested to factory specifications. Look for Geotech at the events listed below. The Conference is organized and presented by Battelle, with public- and private-sector organizations active in environmental assessment, remediation, and management. 900 to 1,000 scientists, engineers, regulators, remediation site owners, and other environmental professionals, representing universities, government agencies, consultants, and R&D and service firms from around the world are expected. Booth 408. 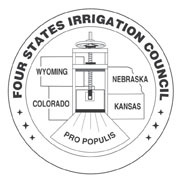 Workshops, general sessions, and exhibitor hall give members from Colorado, Kansas, Nebraska and Wyoming solutions to irrigation-related problems. Mark your calendars for the 2015 Society for Mining, Metallurgy, and Exploration Annual Meeting & Exhibit and the 117th CMA National Western Mining Conference, to be held at the Colorado Convention Center in Denver. 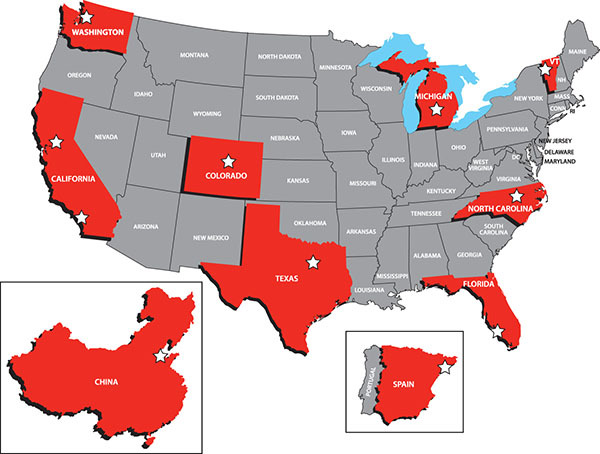 As the SME Annual Meeting addresses worldwide opportunities and challenges, the Colorado Mining Association’s 117th National Western Mining Conference & Exhibition will highlight the role that Denver and Colorado companies play in supporting mining throughout the state, the nation, and the world. Look for Geotech in the Exhibition area, we will be in Booth 1231. The RemTEC Summit draws leaders and key stakeholders from academia, government, regulatory community as well as site owners, private consulting agencies and various other environmental professionals. If you are involved with the environmental science and remediation industry, you can’t afford to miss this event! 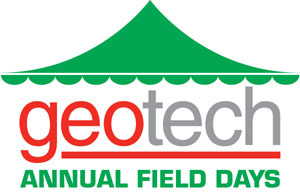 Look for Geotech in the Exhibition area, we will be in Booth 49. The Geotech Catalog is now 336 pages and features more than 115 NEW PRODUCTS, fully illustrated, with specification charts and tables included. There is a large resource section featuring the conversion tables, formulas and other reference information that environmental professionals need and use. Prices and promotions mentioned in this newsletter are valid through January 31, 2015. Geotech is solely responsible for the content in this newsletter. Some items may not be immediately available at the time you receive this newsletter, call for details. 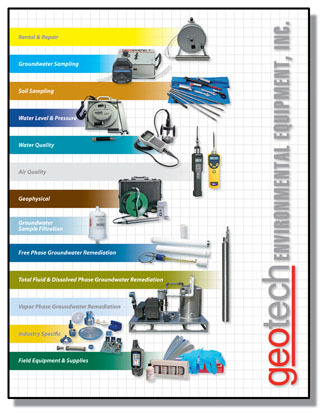 © 2015 Geotech Environmental Equipment, Inc.